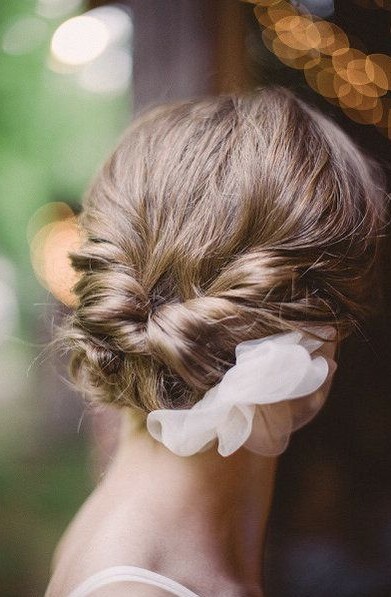 Chignon is ideal for wedding! 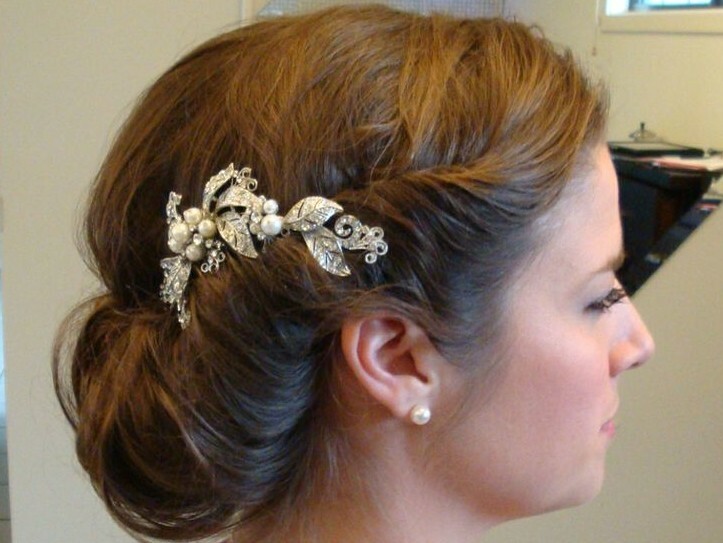 Chignon is a bun created from hair curved into loops and pinned at the back of the head. 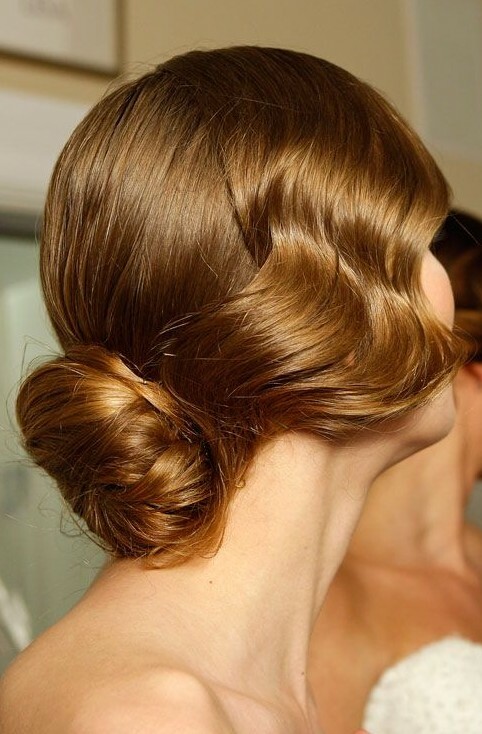 Popularized in France in 1940s, chignon is a very chic and feminine hairstyle. 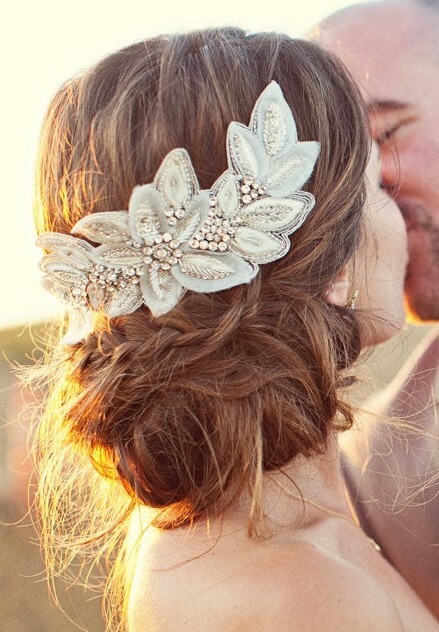 When done flawlessly, chignon is a perfect inspiration for elegant wedding updos, but in its basic shape it is also a great hairstyle to go with the casual wear. After washing your hair dispense a small ball of styling mouse into your hand and distribute it evenly on the hair. Start blow-drying the hair. Use radial brush and wrap small sections of hair around it. When your hair is still a little damp, add some hairspray and divide your hair into small sections, about 2 inches each. Curl them around rollers and leave for 15 minutes. It will add volume and hold to your hairstyle. Take off the rollers and use brush to smooth frizzy hair. Make a side part. 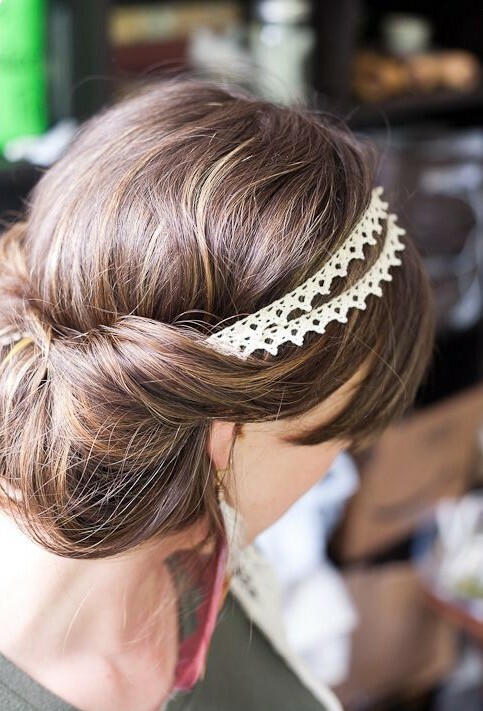 Gather hair on this side of the part, which is wider and make a ponytail, securing it with elastic. 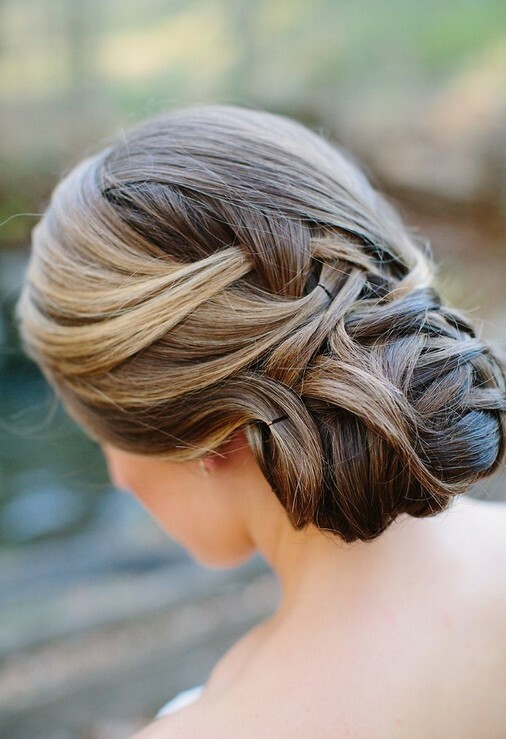 Divide hair in the ponytail into small sections. Start from the top and brush the first one to eliminate tangles and fly-aways. Then roll it around your fingers as if your were wrapping it around a roller. Remove your fingers and pin the loop to the scalp. Now do the same thing with the rest of the hair in the ponytail. Thanks to brushing and curling your hair at the beginning, loops will take the shape easily. The trick with this hairstyle is to use small sections of hair when creating loops – wider ones will become heavy and weight down the hairstyle. 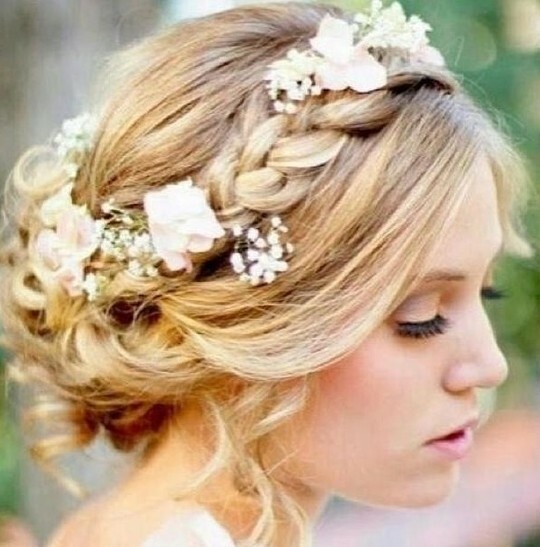 To make the styling easier you can create one or two more ponytails around the first one. 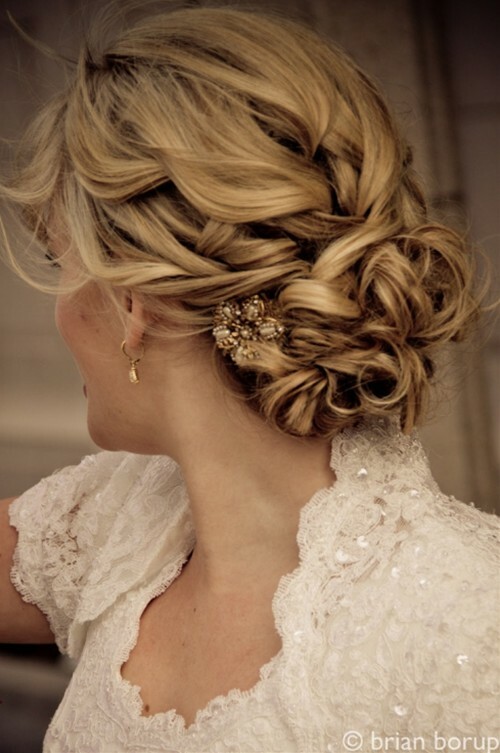 Chignon is a hairstyle, which can be constantly rediscovered. Make a fancy and unique hairstyle by arranging the loops differently each time. Placement of the ponytails is also a subject of choice: you can make a high ponytail or a low one, close to the nape of the neck.